Thanksgiving Hours and Saturday Sale! Friends, we will be closed this Thursday and Friday(Nov 27 & 28) for the Thanksgiving holiday. We will reopen this Saturday(Nov 29) from 9am – 5pm. Stop by on Saturday to find deals on 2014 and some 2015 Marin Bikes. 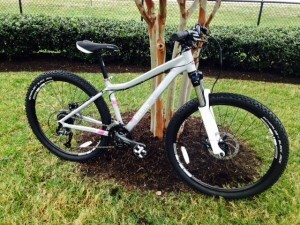 We have some great ladies city/hybrid bikes and several beginner mountain bikes for men and women with 26″, 27.5″ and 29″ wheel sizes in stock! Tell a friend and help get them into cycling! We’ve recently placed special orders for 2014 closeout models left over from Marin and Raleigh at discounts. Just ask us what’s still available and you could be on a new bike in a matter of a few days! 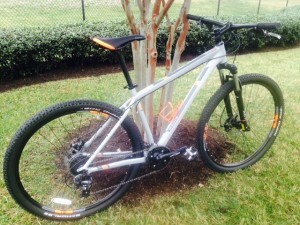 We also have a small inventory of used mountain bikes and some older road bikes. Trade in your old bike, your wife’s bike, your child”s bike or any bike(except department store bikes) in for a credit towards a new bike. 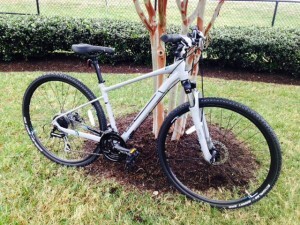 Keep in mind, we also do consignment sales on used bikes. Quality bike racks from brands such as Yakima, Thule, and more can also be used as trade in value or be sold on consignment. This entry was posted on Wednesday, November 26th, 2014 at 8:30 am	and is filed under Uncategorized. You can follow any responses to this entry through the RSS 2.0 feed. Both comments and pings are currently closed. « Got cold hands or toes when riding this time of year?